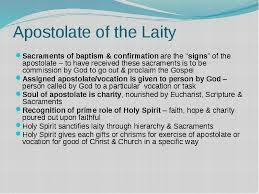 This all comes under a broader scope of “vocations” and “apostolates.” A vocation is a “life path” on which one travels in order to serve others and the Kingdom of God (example; marriage, priesthood, consecrated virgin, religious sister, deacon, etc… ) An “apostolate” serves others but within a shorter time frame and a more limited activity scope. An apostolate could be a teacher who also mentors a young person in scouting, an accountant who provides financial services gratis to underprivileged families or a cook who provides meals for a soup kitchen. Confession – Unless your soul is free from sin, you will not be able to clearly recognize and listen to the voice of the Lord, nor have the ability to respond. A mentor, spiritual director or life-coach. Simply doing your job and performing it well. Above all, one’s heart must be free from sin; so you must avoid sin at all costs and repent if you fall. The good Lord has promised to communicate Himself to those who have a pure heart: Blessed are the clean of heart; for they shall see God. Let your conduct be rightly ordered. To do this, read spiritual books, talk with others about God, establish a regular prayer schedule and follow it faithfully. Look upon choosing a state of life, in accordance with the will of God, as your greatest concern, since your eternal salvation depends on the choice that you make. Let the grace of knowing your vocation and of faithfully corresponding to it be an intention in your exercises of piety—prayers, Communions, etc. Have a good intention and a sincere desire to know and to do the will of God, whatever it may be. It is necessary that you hold yourself entirely detached and in an unselfish readiness in regard to all the states of life, in order not to put any obstacle in the way of the movements of grace. Carefully avoid overindulgence. Retire into the solitude of your heart, after the example of St. Catherine of Siena, always remembering that God is near you and that He wishes to speak to your heart. You will understand His voice more quickly and distinctly the less you are immersed in worldly things. 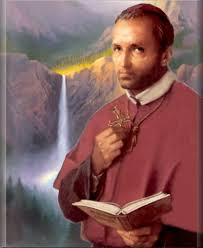 St. Alphonsus explains at length that a retreat is quite useful. If you cannot make one, either at home or in some religious house where you may find everything you need for a retreat, try to make up for it by leading a recollected life, and by frequently meditating on the Last Things. 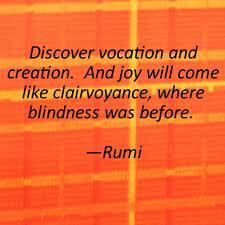 Nothing is more apt to enlighten you and to keep you in a good disposition. In your doubts consult a wise spiritual director, who, as the representative of God, may instruct you and guide you in a safe manner. Try to imitate the state of life that attracts you, as much as possible, by visiting and talking with those who live it, by taking part in their particular apostolate (e.g., feeding the poor), and by imagining yourself living and dying in that state. Ordinarily, the good Lord does not hesitate to enlighten those who have recourse to Him, especially in a cause so holy and so agreeable to His heart. If, however, He leaves you in uncertainty for a time more or less long— to try your fidelity, to purify you more, or to strengthen you and raise you to a very high perfection—take care not to relax in anything. Humbly submit yourself to Him and wait with confidence and in peace for the break of day; for your Heavenly Father will surely hear you and your perseverance will not fail to be crowned with success. While waiting for the Lord to enlighten you, do not be less faithful in fulfilling all your duties in the condition of life in which His divine Providence has placed you. It would be a great fault to neglect your actual duties in the expectation of a change; in response to this, God could withdraw His hand, instead of stretching it forth to aid you. A good intention; that is, the intention to embrace such a state only to please God and to arrive more surely at the haven of salvation. (a) The inclination and (b) the aptitude to exercise the duties proper to this state. (a) The knowledge of the duties that this state imposes, and the (b) a firm will to fulfill them till the end. That there is no grave impediment, such as the great poverty in which one might leave one’s father or one’s mother. The favorable advice of a wise director.